As of Dec. 2, 2014, there will be no Japanese American California state legislator in either the Assembly or State Senate (there has never been a JA state senator). Assemblywoman Mariko Yamada terms out after six years of service and Assemblyman Al Muratsuchi lost his re-election bid in his South Bay district. In Al’s case, his road to get elected and stay in office has been a difficult one from the beginning. He represents what is called a “swing” district, which means party affiliation is pretty even and there is no automatic advantage for either Democrats or Republicans. In this particular election, the Republicans targeted Al’s district as a possible area to beat back the super-majority the Democrats enjoy in the Assembly, so they went all out. The last time I talked to Al, he shared with me that a Republican political “sugar daddy,” Charles Munger Jr., dropped over a million dollars into the race on behalf of the Republican challenger. From what I saw, this manifested itself in a slew of negative and ugly ads against Al. I guess the “mudslinging” plus a low voter turnout was enough to push the Republican challenger to a narrow victory. A note of optimism in light of this loss — it is a “swing” district, so it can swing back the other way come 2016. Also in this election cycle, three Asian American Republicans were elected. State Senator-elect Janet Nguyen is Vietnamese American; Assemblywomen-elect Young Kim and Ling-Ling Chang are Korean American and Chinese American, respectively. All are women and immigrants. When I chaired the Asian Pacific Islander Legislative Caucus (three years), we didn’t have any Republican members, so this is quite a shift relative to party affiliation. Relative to gender this is a welcome shift as women getting elected have declined over the last several cycles. I find it interesting that as we lose the last Japanese American legislators in the Assembly there are Asian Americans being elected who are Issei, in other words, immigrants. Are they more ambitious and willing to take on the risks that go with running for office? Do they have a greater appreciation for the democratic process and the electoral system than their American-born and multi-American generation counterparts like in the JA community? My other question: Where are the Japanese Americans who are interested in running for state political office? We still have plenty of JA examples on the federal level, one senator and several congressional members, including a newly elected member of Congress from Hawaii who is JA. We do have some electeds on the local levels that are respected political veterans and a few newbies that are Nikkei. But overall on the state level, the JA political “pipeline” is empty. We need to fix this by getting Al elected again in 2016 and by encouraging young JAs to look at political office as a challenging and exciting career choice. 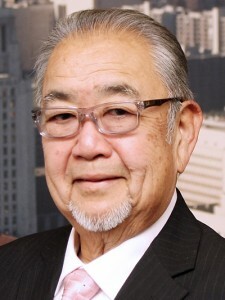 Warren Furutani has served as a member of the Los Angeles Unified School District Board of Education, the Los Angeles Community College District Board of Trustees, and the California State Assembly. Opinions expressed in this column are not necessarily those of The Rafu Shimpo.